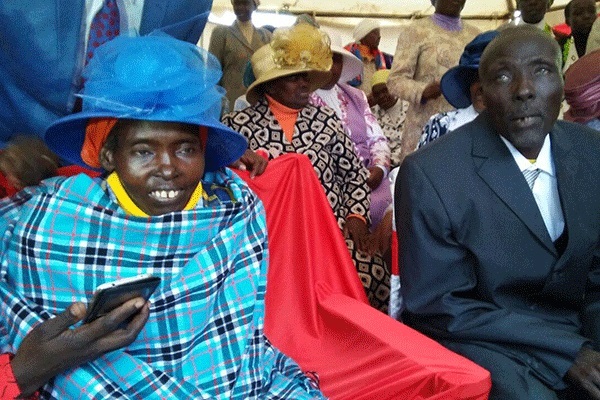 Friday, December 28, 2018-Last year around June, controversial city prophet, David Owour, shocked Kenyans after word g0t out that a woman he prayed for in West Pokot had resurrected. The woman identified as Mama Rosa allegedly collapsed and died after falling ill and when her family sought the help of Prophet Owuour, he prayed for her and 2 hours later, she came back to life. That famous miracle by Owuour was stage managed so that he can attract more people to his fake church ministry. The woman he claimed to have resurrected is almost dying. Her health has deteriorated and she cannot even walk on her own. Mama Rosa is hidden from the public by pastors associated with Owuor because they don’t want the public to know the miracle was stage managed. Popular blogger Abraham Mutai shared a video of Mama Rosa saying,” The Woman Owuor claims he raised from death. As we speak, Mama Rosa can't walk on her own. Her health has regressed so bad, she is being hid from the public. Owuorians know her from the posters but are not permitted to see her. She is being hid at Dr. Kasepoi's house in Eldoret. First,he is not who resurrected the woman.It can either be Father Yahweh or Satan.Secondly,when someone is delivered and does not maintain it by sinning again, the evil spirits will counter attack furiously. And the situation of that person will be worse than earlier one.